The month of July has been good to me as I was lucky enough to receive commissions for three bags, ( I will publish a pattern for the 'I'll see you later' messenger bag and a tutorial on the zippered inside pouch in a few weeks time) sold a quilt via my on-line shop, past my 100th blog post and 200th follower and to top it all basically had Christmas every other day with my fellow Brit Bee members producing truly astonishing results with the fabric and brief I gave them. And to celebrate this I am offering a fantastic giveaway sponsored by Oakshotts. But first some words of gratitude to my fellow Brit Bee Ladies. So far I have received 16 of 22 blocks (my own blocks are still missing too) and I thought this is enough to share with you a possible layout. When I set the brief for the Brit Bee I never ever imagined in my wildest dreams that I would end up with such a wonderful sampler quilt. It has everything; the most gorgeous shot cotton one can find and a truly contemporary mix of blocks that all have a personal touch from each Brit Bee member. For that I thank you from the bottom of my heart. 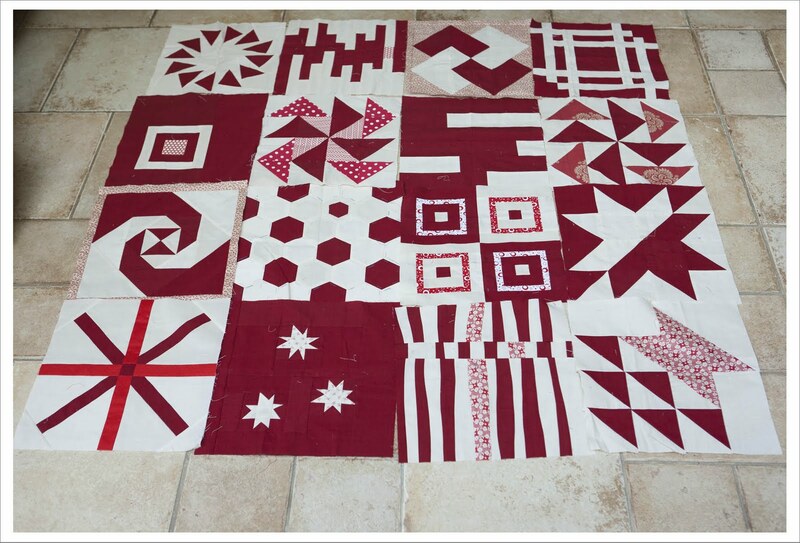 The red in the quilt is called 'Cranberry' and I already used it in my 'Cranberry Crush' quilt that I love and adore. The white is called 'White Sand'. Over the past year I have ordered a number of shot cottons (here and here) from Oakshotts and Michael has been fantastic in advising me and his customer service is nothing short of perfect. I met Michael last year at the Quilt Festival in Birmingham. Oddly enough I didn't remember meeting him but he did and told me so when I spoke to him on the phone the first time. He has customers from Germany and we must have talked a little about me being originally from there. 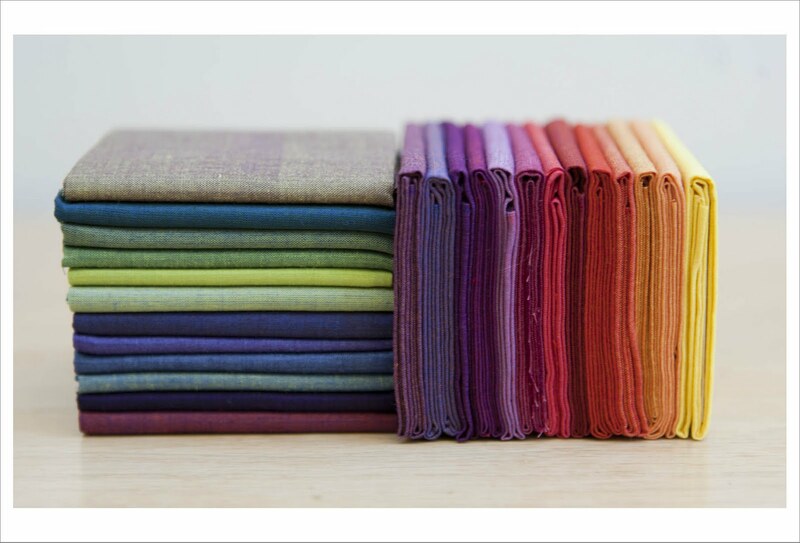 Oakshott specialises in colourful shot cotton weaves that are ethically sourced from along the Malabar coast of South West India and I cannot emphasis enough the vibrant colours and quality of the shot cottons. Michael has agreed to sponsor my giveaway with this superb set of fat 8th shot cottons called 'Sunrise'. Michael and his team are of course again at the quilt festival this year and their stand is H25 where you can visit him and have a chat and a good look at his fabrics (and don't forget to say hello from me). all are welcome to participate, nationals, internationals, E-Ts, ghosts etc. I have to enter this one Judith - I adore Oakshott's shot cottons and bought the dark colourway fat eighth bundle last year at Harrogate. After I leave this comment, I will go and sign up for their newsletter. I promise! You have my email address but anyway it's lilysquilts @ gmail . com And congrats on the bee, all those posts and all those followers, your blog deserves it. P.S. Off on hol on Thurs and my pinnie is coming too - will post a pic of it sunbathing if you like. Your brit bee members have done a fantastic job! Those shot cottons look beautiful, I think I am going to have to search some out at the FOQ. I have signed up to the giveaway, thanks for the giveaway! I don't normally enter giveaways that ask you to sign up to something but I'm breaking my self-imposed rule for this one because I love these Oakshott shot cottons! Ps I forgot to mention have signed up to newsletter. Please discount one of my comments though as this makes three! I am obviously a follower and a Bee! I love how the quilt looks - thank you for your faith in us! I already receive the Oakshott newsletters and would recommend going to one of the open days at Gloucester if you can - last time I went the estate where Oakshott is based was crawling with armed police so a very exciting day out!! I love the red in the Bee blocks, it's going to be a lovely sampler quilt. 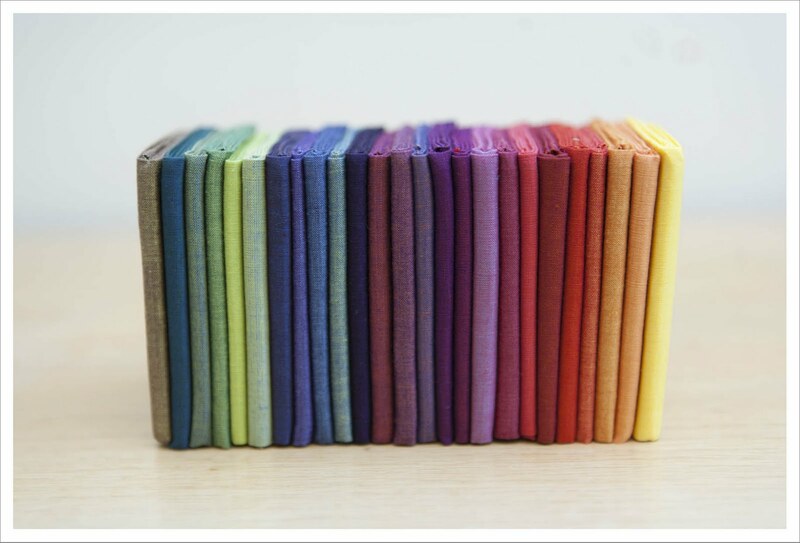 I've just signed up to OakShott's newsletter (I know it may sound funny but I like receiving news from fabric shops). And I forgot to mention that I love the Sunrise set. The colours look amazing and I'm sure they're even more beautiful in person. I signed up for the Oakshott newsletter. I had never heard of shot cotton before today! I do follow your blog already, and I love your red & white bee blocks. It will be a stunning quilt! Waht a beautiful fabric. Terrific giveaway! I just signed to receive their newsletter. And I'm now one of your followers. Thanks for sharing. All signed up for the newsletter! What BEAUTIFUL fabrics! (Apologies for shouting- it is stunning!) Fingers crossed! Signed up for newsletter - twice by mistake! And I'm now a follower! What a fab giveaway. Sorry, bumbling in excitement of the giveaway - love Oakshott. I follow your blog. 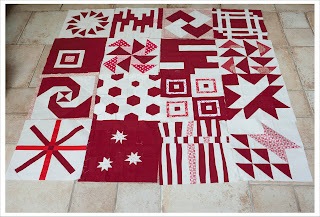 Striking cranberry quilt from your bee! Love it! I've been following you on my Reader, but I'm now officially #208 on your list up there. Thx for the chance to win these. They look really beautiful. I've signed up for the newsletter over there. I signed up for the newsletter. Even though shipping would be extreme to the USA, it will be interesting to see. I am now following your blog. I need to find the thingy, and I will follow you on twitter also. I`m already a follower - Bee quilt is quite stunning! 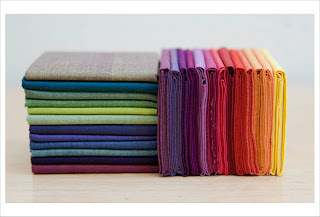 LOVE these gorgeous fabrics, such beautiful vibrant colours. Thanks for the giveaway. I`m back after having signed up to the newsletter - amazing giveaway and congratulations on your 100th blog post and 200 followers! Oh Judith its looking so so good! I love the variation, its our first proper brit bee sampler quilt! I've signed up for the newsletter, with gorgeousness like that on offer you didnt have to tell me twice! I love your bee quilt - I've seen some of the blocks on other blogs but never quite made it to your blog until I saw all the blocks on Flickr and followed the link...glad I did! I love Oakshott cottons - my LQS hasn't got any at the moment so I'm going to be looking out for some at Harrogate next month. Thanks for a great giveaway! I'm a (new) follower - thank you! Wow, love that color combination. I've signed-up to Oakshott's e-mail newsletter. Lovely web they have. I was already a happy follower of your blog! All signed up. I love shot cottons and would love to play with this fun bundle. I have subscribed to the newsletter. Those fabrics are gorgeous! Thanks for the giveaway. And now following your blog too. Thanks. SIGNED UP FOR OAKSHOTT'S EMAIL LETTER! I've signed up for the Oakshott newsletter. I've visited their site many times but so far failed to make a decision on wish gorgeous colour to buy. I'm signed up for oakshott's newletter. thanks for the lovely giveaway! Wow thanks for the introduction to Oakshott - I've signed up to the newsletter and I'll definitely be going back there! Thanks very much! Signed up for your newsletter - I'm already a winner. Love the free patterns. 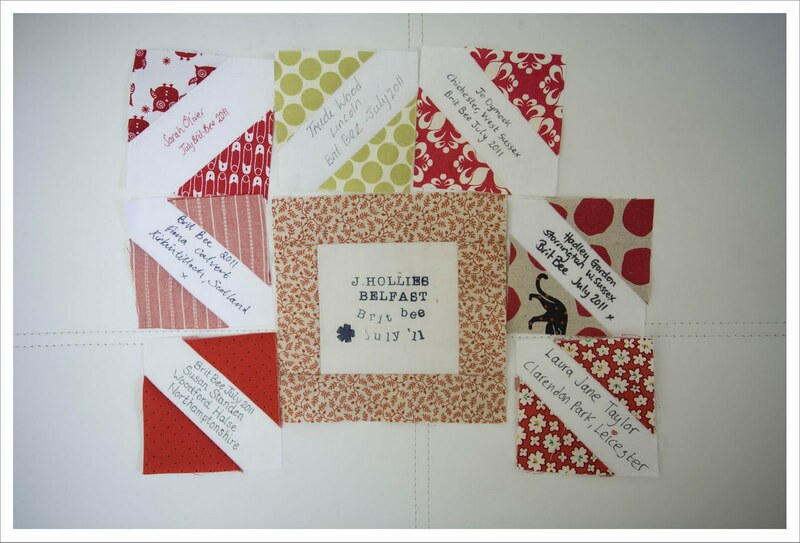 Your bee blocks look amazing - that is going to be one Divine quilt! I've signed up to receive the Oakshotts newsletter. Thanks for the wonderful giveaway! What a unique Christmas quilt! Nice! I did sign up for the Oakshott Newsletter. Hi there! I've signed up for the newsletter. Thank you for the opportunity! I already signed up the newsletter!! I am following your blog via Google Reader!! I signed up for the newsletter. Thanks for the introduction to this lovely shop and these beautiful fabrics. I am following you and sign up for the news letter! Your quilt is going to be amazing! Thanks for letting us play with your gorgeous Oakshott fabric. I'd never used it before, but I loved it. I've just signed up to their newsletter, and am going to start saving. Those colour wraps look lovely. I signed up for the newsletter. :) Lovely giveaway. I follow this blog. I hope you will come visit my blog soon. 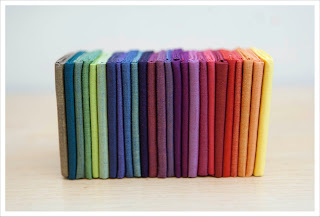 i signed up for the newsletter, and i love this choice of bundle for a giveaway- these bold colors so appealing! i follow vis GFC and on facebook- thanks for the inspiration! Oh my goodness, what a treasure!! It would be a joy to work with such loveliness. Yes, I signed up for the newsletter. Thanks! I'm a follower on Blogger. Thanks!! I ADORE these shot cottons and really appreciate the chance to win! Thanks for the contest. Of course I am a follower, bee buddy. I'm also subscribed to your blog!! I already won one of your giveaways so I'm not sure if I can enter this one too. Anyway I signed up to Oakshott's e-mail newsletter. I signed up for the newsletter. What beautiful fabric they have! I have also become a follower. Those blocks you received are so beautiful! I would love, love, love to win this gorgeous bundle. I signed up for the newsletter. 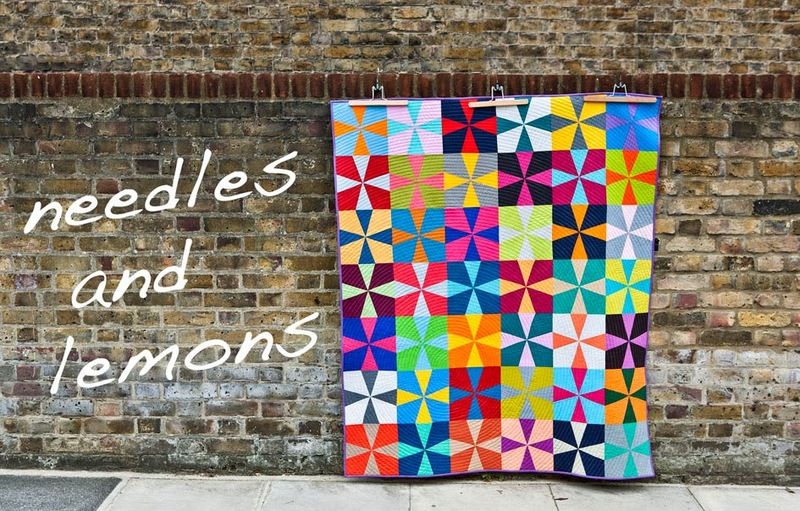 I signed up for the newsletter - what gorgeous fabric! I signed up for the newsletter. Thank you so much for this wonderful chance to win a fab giveaway. I am a new follower to your blog and I just want to say, where have you been. I haven't seen it all but what I have, I couldn't be happier then a pig in a mud hole to have found you. :) Thanks again. I have signed up for Oakshott's email. Can't wait to find out more about them! I am now following you on your blog!! Thanks so much! I signed up for the email. What wonderful colors. I love seeing them all lined up. I signed up the newsletter. And I am a new follower also. Signed up for Oakshott's e-mail newsletter! I signed up for the Oakshott's e-mail newsletter!